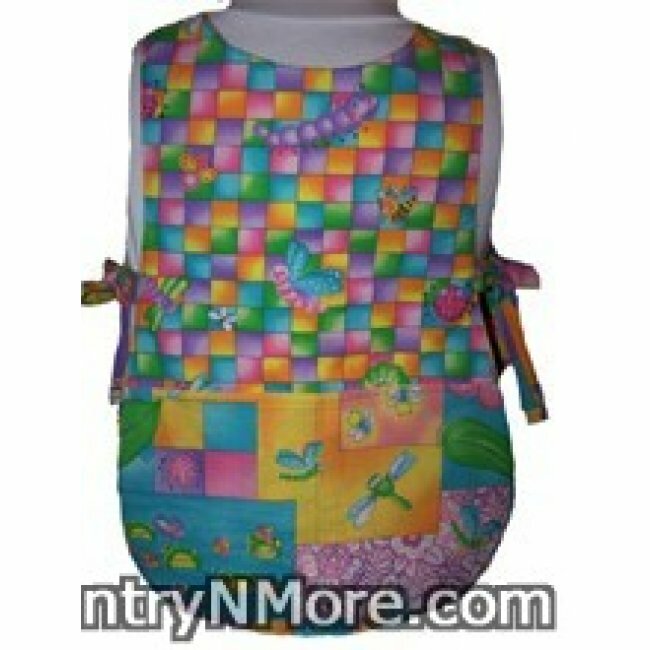 This colorful apron will sure to be a favorite for the young girl in your life, and was designed ages 3-5. Click on the title to see the apron measurements and the other side of the apron. I also have an adult version of this apron, for mom or grandma-CA121. Click on the image to get measurements for this cute apron. Now, the little girl can help out in the kitchen whether it is at home or at grandma's house. On the front of this cobbler apron is a bright and cheerful sun. Of course, it wouldn't be called sunny bug for nothing. There are cute little caterpillars, and dragonflies throughout this apron. The pocket and straps are made with coordinating bug fabric. The reverse side has the small allover print for the main part of the apron, with the larger print for the pocket. 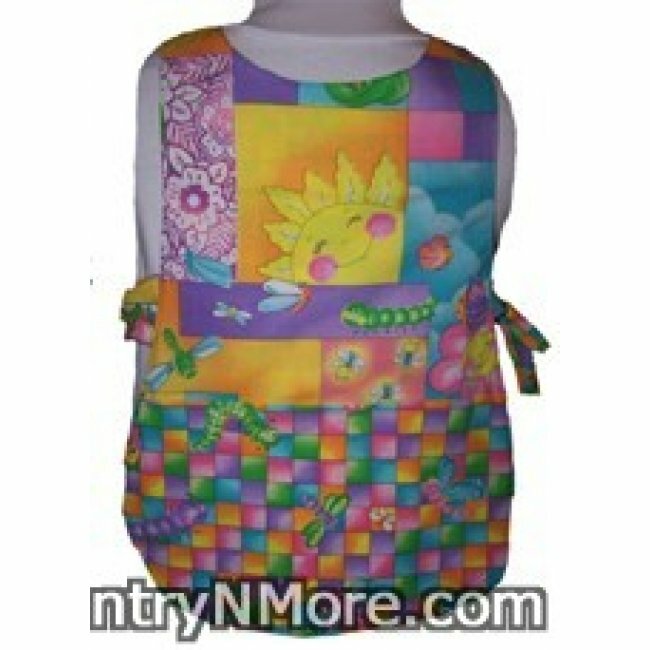 Reversible Cobbler Apron measures 20 inches in length. Apron should fit 3-5 year old girls. A great way to protect clothing.